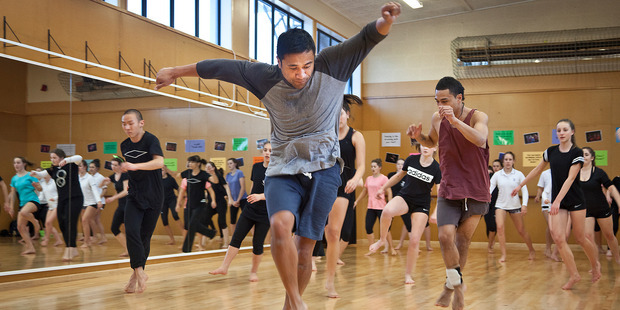 The New Zealand Dance Company visited Tauranga Girls’ College yesterday to run a workshop with senior dance students. Year 11, 12 and 13 girls learned a new routine with dancers from the company. Tauranga Girls’ teacher of dance Caroline Gill said she contacted the company to request a workshop with her students “but they were keen for a performance”. She said it was important the girls interacted with professional dancers to get a deeper understanding of the discipline. “The students learn new skills and the process of choreography,” she said. The group would perform for Tauranga Girls’ College today and it would include part of the routine students learned at the workshop. About 400 students would also be attending the performance from John Paul, Rotorua Girls’ College, Papamoa College, Bethlehem College and Te Aroha College.